The package design forecasts are in for 2018 and we have some important trends going on this year. Researching across the world wide web, I find these three packaging and labelling trends in particular are resonating in the cosmetics and food and beverage sectors. 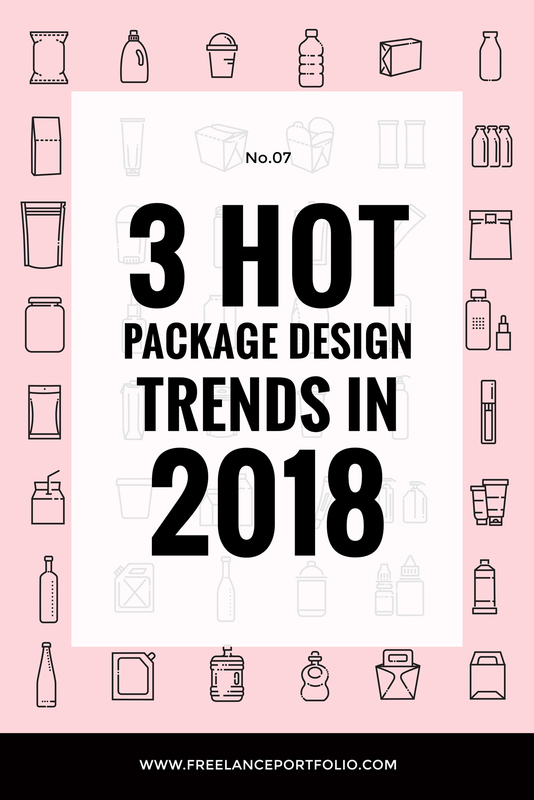 The package design forecasts are in for 2018 and we have some important trends going on this year. To save you the time and trouble of reading a million articles, I’ve done some research on what we will see this year in the current and upcoming structural and graphic design. Labels are de-cluttered and simplified but still informative. 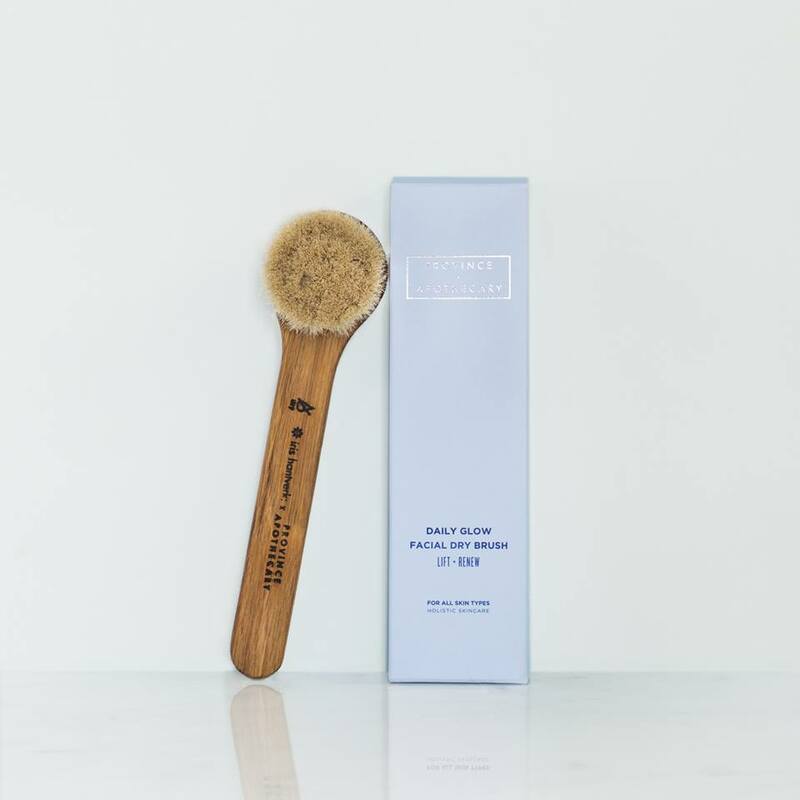 Minimalism can be achieved not only with white space, but with a downplay of colours using soft calming pastels and icons as depicted in our blog post title page and this cosmetics packaging. FOR EXAMPLE: Province Apothecary‘s packaging is a prime example of clean, clear minimalism. They’ve chosen a tranquil blue pastel and note the feeling of transparency with a sans serif typeface and sparing copy. While Pantone named “Ultra Violet” colour of the year, “Millennial Pink” continues its popularity in the food and beverage industries (and beyond), from gin and wine bottles to flash frozen smoothies such as The Dieline captures in their blog featuring packaging examples of this hue. Think back to Colour Hive’s predictions that we noted in our “Four Ways Colour Creates Meaning For Your Brand” blog post last year. As to the use of purple in the food and beverage industries, you are more likely to see the Ultra Violet trend in this year’s “it” produce rather than packaging or labelling itself. Think purple shaded cauliflower, yams, carrots. While packaging is to convey transparency of information, an authentic appearance must match the contents. Some players in the retail world have broken faith with the public. Price fixing and recalled consumables due to lack of Good Manufacturing Practices are examples of why consumers begin to apply a cynicism toward all food and beverage brands. After all, if the brands they’ve trusted most are not playing fair, how can they know which brands represent the truth of their contents? And so minimalism and soothing colours are a means of conveying authenticity to this emerging Fresh Authentic consumer seeking healthy, clean and sustainable foods and beverages. And packaging. Which leads us to trend #2. Transfats were an effective, but artificial, method of keeping many products shelf stable. With the ban in effect later this year (see The Freelance Portfolio Blog Post “Preparing For The Artificial TransFats Ban“) the movement to aseptic packaging grows. This kind of packaging is a practical means of extending food freshness naturally, without chemical additives. Think boxed water you now find in Tetra Prismas, Tetra Gable-Tops or Tetra Briks. The concept is for the packaging to reflect the contents, as either recyclable or originating from renewable resources. Once the healthy food product is consumed, so should the waste of the product be disposed of in an environmentally friendly way. Light and flexible materials speak to the effort of minimizing decomposition with care for the environment. A further means of establishing trust with shoppers is through transparency of business practices reflected in certifications. There will be a significant rise of the Fresh Authentic shopper seeking out NON-GMO, Rainforest Alliance, Organic and Fair Trade certification on the packaging. 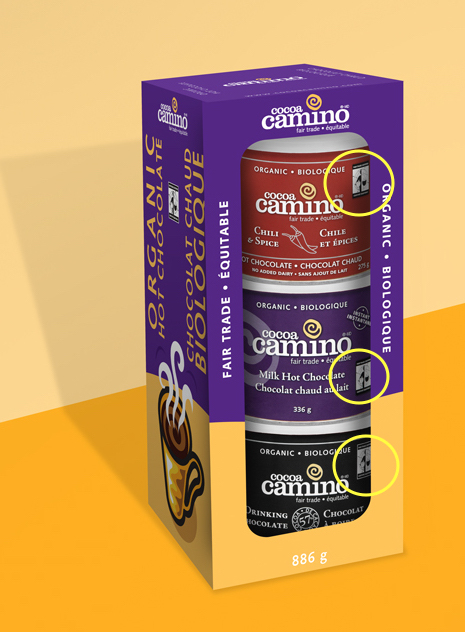 FOR EXAMPLE: According to their web site, one of Cocoa Camino’s guiding principals is Fair Trade, to “… promote trading partnerships based on fairness, dialogue, transparency and respect in the pursuit of greater equity in international trade.“*** Their Fair Trade certification communicates their dedication and transparency on how they do business, a big attraction for the grocery shopping consumer seeking authenticity. New and different visuals generate a response. For generations Coca-Cola (see http://www.coca-colacompany.com/chronology) and Pepsi have embraced innovation through the creation of countless skins on their bottles and cans while maintaining their recognizable brands. These modifications have kept them interesting, relevant, popular. Competition for attention in the shopping aisle is cut-throat. You have just a second or two to tweak the shopper’s awareness. Capturing an extra moment gives your brand a chance! It gives your item an opportunity for serious consideration to be pulled off the shelf and dropped into the cart. To that end we will see some exciting new head turning trends never before possible either because the technology didn’t exist or because it was too cost prohibitive. I give you two exciting concepts at least I personally hope to see on the shelves this year! 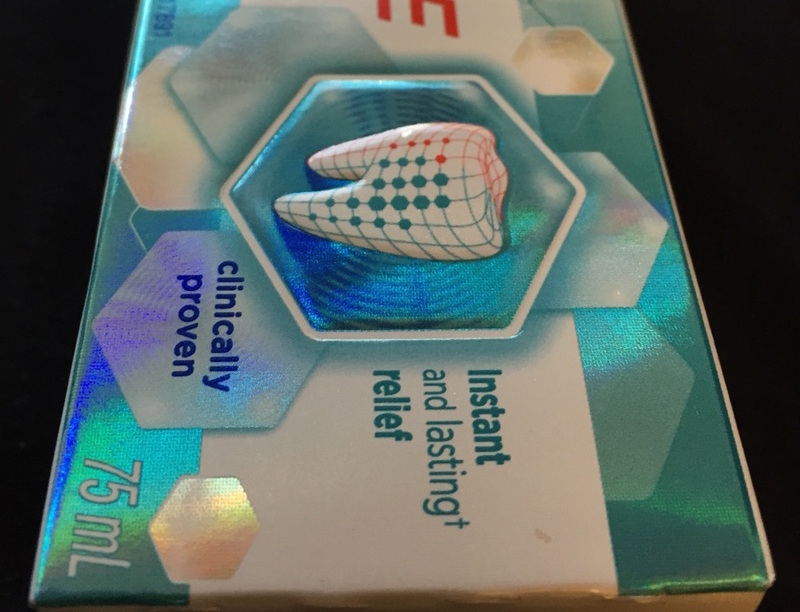 Augmented Reality apps integrated with the packaging make any product more interactive. Your product becomes so much more personal and impactful by engaging the consumer through their own mobile phone. There are so many possibilities to draw in and delight your target market when you link your label to a custom app. FOR EXAMPLE: Are you a fan of The Walking Dead? How fun is this? FOR EXAMPLE: We are seeing this a lot in the toothpaste aisle but there is even more you can do with this finish! See more examples of holographic film here. Teeny tiny grooves make holographic film diffract normal white light, and that’s what creates that glorious spectral colour. So how about we laminate holographic films to sealable films to pre-made flexible bags? Let’s apply it to paper and card stock and make glittery specialty gift boxes and bags! I also love the idea of holographic hot stamping foils for a decorative emphasis on detail on any type of packaging or POS display. If you’ve already printed your packaging what’s to stop us creating some holographic film pressure sensitive labels to apply to your current package design? Think of holographic film like naturally occurring blinking lights! IS YOUR PACKAGE DESIGN KEEPING UP? So there you have it. While trends come and go, we see 2018 shaping up to build further on growing trends and embracing new innovations and applying them in new vitalizing ways. Make it an exciting year for changes towards the consumer experience through your package design. Will your brand be a stand out this year? Do you want to follow or set a trend? Contact The Freelance Portfolio and let’s get your retail package design and POS display strategy set for 2018. Side note on Millennial Pink: As I am a chocolate lover, can someone please tell me why I’m only now learning about the Millennial Pink “Sublime Ruby Kit Kats”? Yes, there is “a newly discovered fourth type of chocolate that’s been aptly dubbed ‘Ruby chocolate,’***** due to its rosy tint. And just in time for Valentine’s Day, I’ve got hearts in my eyes!